Preceded by the presentation of the Career Achievement Award to Special Guest MICHAEL SHANNON, with interview following. 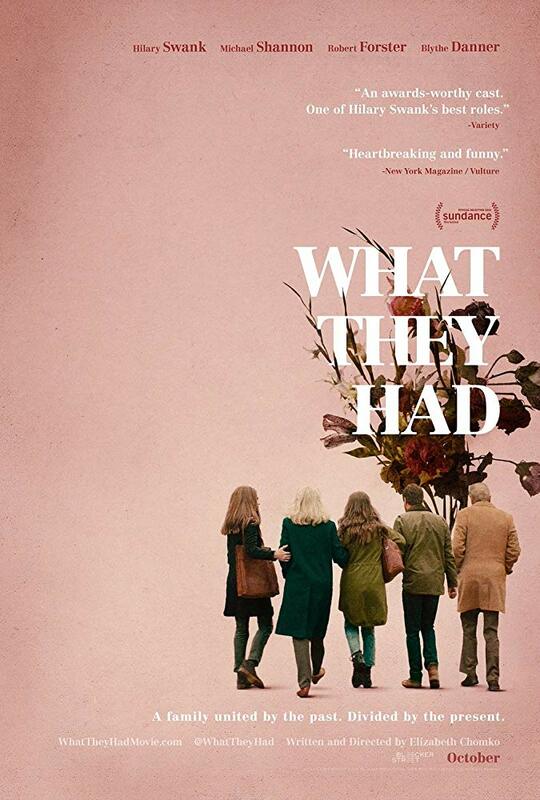 What They Had is a 2018 American drama film written and directed by Elizabeth Chomko, and starring Hilary Swank, Michael Shannon, Robert Forster, Blythe Danner, Taissa Farmiga, and Josh Lucas. "Winner Truly Moving Picture Award Heartland Film 2018"
"Toronto International Film Festival 2018 Nominee People’s Choice Award"